Please come out and join us this Sunday, January 17th for the 2nd annual Bridal Showcase at the Tampa Garden Club located at 2629 Bayshore Blvd, Tampa, FL 33629. 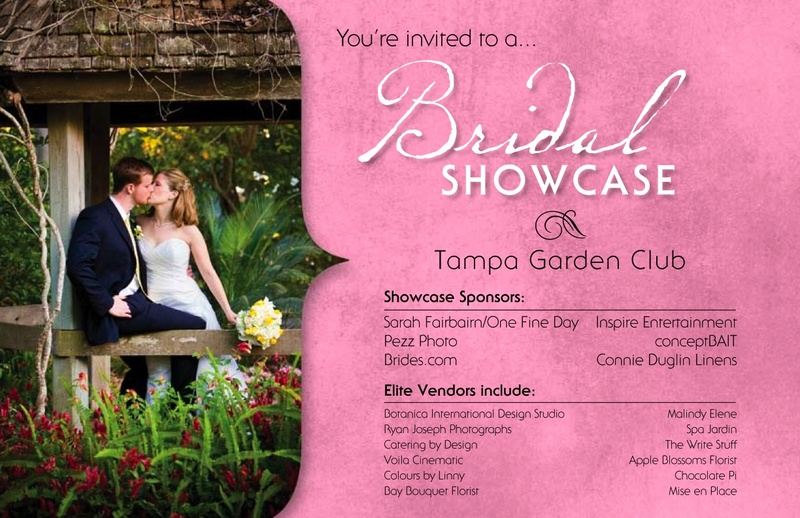 The event runs from 1:00 - 4:00 pm and admission is $10 unless you pre-register ($5.00) by January 16th. 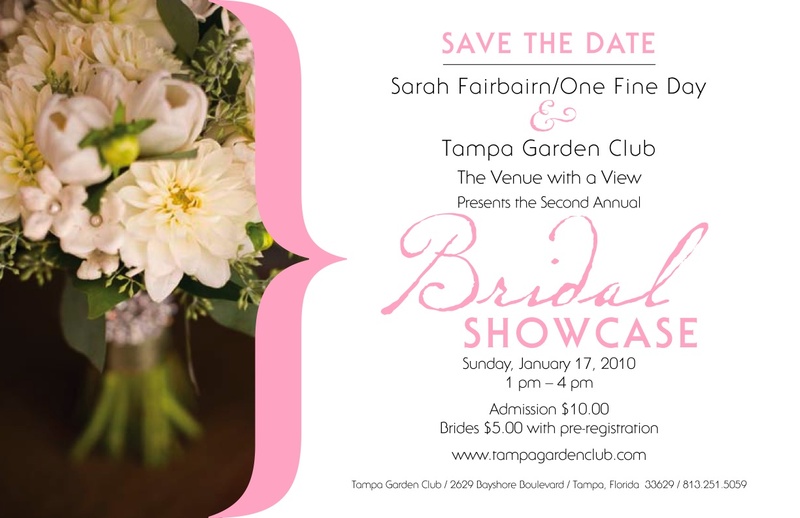 There is a great bunch of elite vendors assembled and it is being produced by the wonderfully talented Sarah Fairbairn of One Fine Day (wedding coordination). Lindsey will be on hand to answer any questions and set up consultations. For detailed information check out tampagardenclub.com. It was so great to meet you! Contact me because I need your amazing designs for my brides this year.